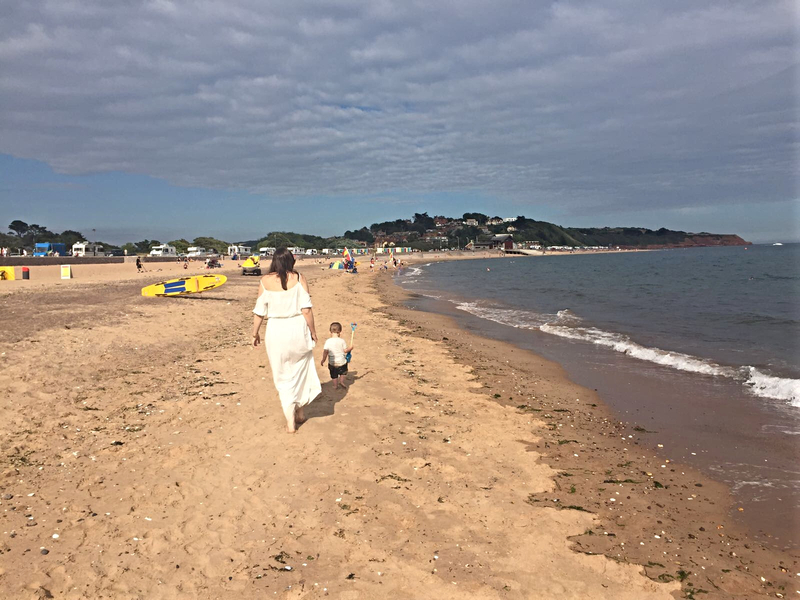 When I was younger, beach trips with the family were usually made annually; holidaying at UK seaside resorts like Poole in Dorset or Woolacombe in North Devon. Growing up in Nottinghamshire, you are pretty landlocked with the nearest beach being Skegness and even that's just over two hours to get to. Having said this, it made beach trips truly special and I have so many fond memories to look back on. Since moving to the South West of England, I'm been spoilt rotten when it comes to beaches. 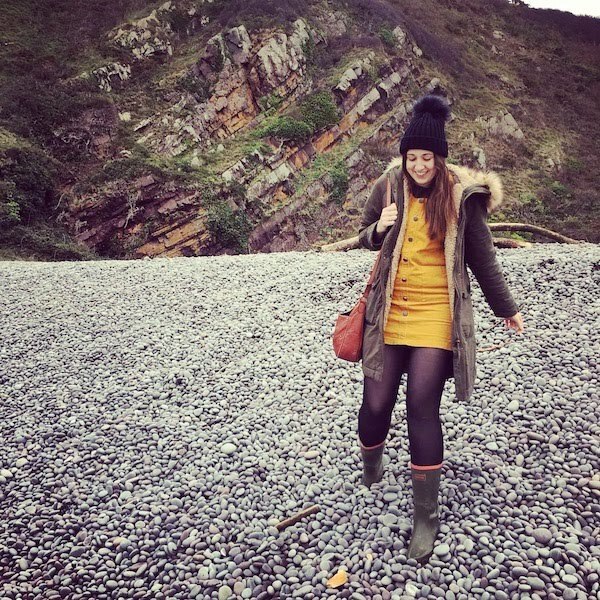 In the last year or so, we've had so many beach trips and visited places all over Devon and Somerset. I love that we can have a spontaneous trip to the coast, which takes less than an hour as you can really make the most of the good weather. And Arthur absolutely loves it, which makes me all the more glad we moved down here in the first place. I think nostalgia is one of the reasons I love to visit the beach so much. 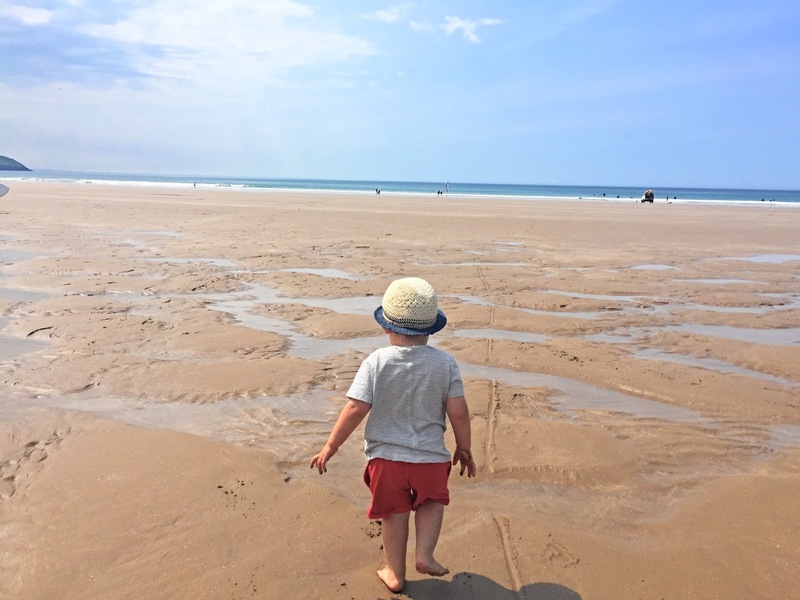 The sea and the sand bring back so many happy childhood memories of those holidays and I love that I'm now able to make so many new seaside memories with my own little boy. There's also the fact that everyone at the beach seems happy. 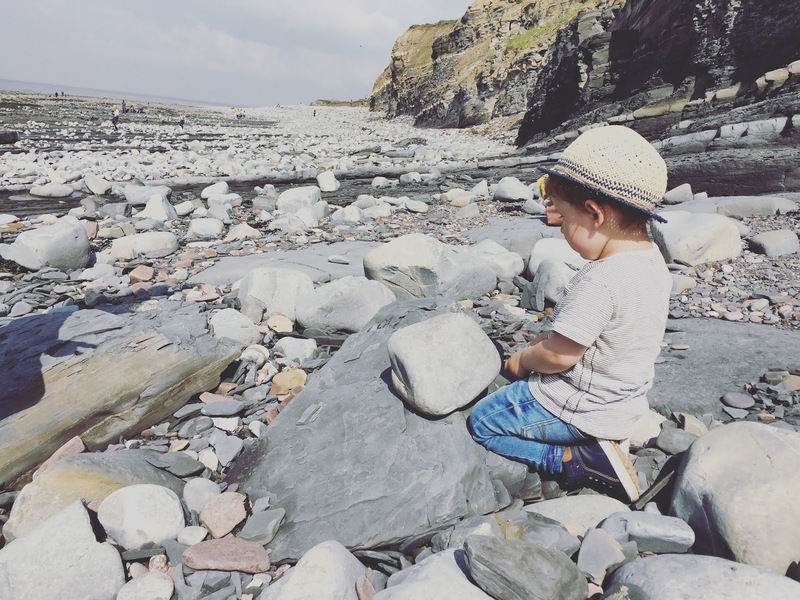 If you do a little people watching, you'll notice that everyone is usually having fun, whether they're building sandcastles, bodyboarding, paddling or simply relaxing in the sunshine. The beach is somewhere people of all ages can go to enjoy themselves. I also find the seaside somewhat calming. I love watching the sea go in and out; it's relaxing and good for the soul. I feel like your mind can get a little lost in it and I think it's sheer greatness, in terms of size and power, can really put things into perspective, if that makes any sense at all? And I think the final reason I love the beach so much is because it makes Arthur so happy. I love the look of excitement on his face as he bravely edges closer to the water and the grin on his face when he goes running back; chased by the lapping waves. 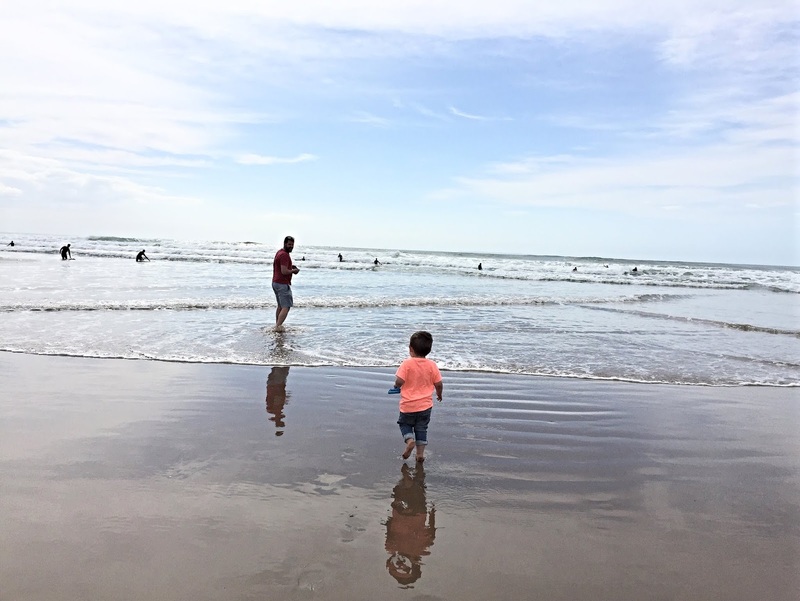 I love holding his hand tightly as he jumps over the little waves, counting down and squealing with joy. And I love seeing the cheeky look on his face as he crashes into a newly-built sandcastle - we never manage an entire fort! For him, visiting the beach won't be such a rarity and I do hope it never loses it's magic for him but with such vast coastline to explore, there'll always be new beach adventures and memories to make. I can't wait for our next! What's your favourite beach to visit? Tweet me @meganjane03!